You are here: Home › MTHFR Mutations › MTHFR Mutation? Consider these laboratory tests. Finding out you or a loved one has a MTHFR mutation may be upsetting. The good news though is you now are aware why so many symptoms go on unchecked without any successful treatment. You are perhaps wondering: What next? In working with many who have MTHFR mutations, I have learned the hard way that further testing is needed. I want to figure out what is wrong by taking a thorough history and ordering labs right off may reduce ‘digging’ for the root cause. Scary for children and some adults to get poked and prodded. I’ve grown out of these reasons even though I still respect my concerns and the financial aspect of the testing. MTHFR affects people differently and ‘guessing’ which lifestyle changes, medications or nutrients each individual needs is not productive nor cost-effective. That said, I’ve learned which tests appear to be most useful in directly measuring important aspects of those with MTHFR (and even those without). Biopterin/Neopterin: For those with A1298C mutations, BH4 (also known as tetrahydrobiopterin) levels are typically quite low. This test provides insight to how low these levels are and why. If neopterin levels are high, then I am considering the possibility of a lingering infection, inflammation or chronic immune response that is preventing biopterin from being formed. Thus, this test provides information not only potentially low biopterin levels but also why they may be low. If a doctor simply prescribes BH4 without understanding the need to address the inflammation and chronic infections, it is band-aide treatment over a gaping wound. Learn more about the Biopterin/Neopterin test here. Urinary Porphyrins: Those with MTHFR mutations typically have elevated levels of heavy metals. This test points out the potential of heavy metals without the damaging effects of provoked urinary heavy metal testing. If urinary porphyrins are elevated, then you know you must work with a physician who is very knowledgeable about heavy metal chelation. If a physician prescribes medications or supplements without addressing heavy metal toxicity at some point, effective treatment for MTHFR cannot exist. Learn more about the Urinary Porphyrins test here. Urinary 40 Amino Acids: Those with MTHFR mutations have many amino acid imbalances. Not only does the Amino Acid test identify amino acids which are imbalanced, but it also informs a knowledgeable physician of other potential mutations. Yes, it is not that easy all the time. I’ve found that while working with MTHFR mutations, I do not get the results I normally see right away. Why? Because there are other mutations present which must be identified and addressed. Amino acids are the backbone of neurotransmitters. If any are low, then symptoms of ADD/ADHD, depression, bipolar, autism and other symptoms are likely present. If a physician ignores knowing which amino acids are imbalanced, symptoms will linger on and the individual with MTHFR will not recover nearly as quickly. Worse yet, symptoms may worsen if a physician prescribes a medication or supplement which aggravates an already imbalanced amino acid level. Learn more about the 40 Amino Acids test here. If a physician simply prescribes you folic acid and aspirin, are they doing the right thing? They doing all the need to do? You miscarrying? Having blood clots? Suicidal? Depressed? Neuropathy? Insomniac? Autistic? Then the right thing to do is evaluate YOUR biochemistry and get it on track. Learn more about the Comprehensive Organic Acids test here. Nutrient and Toxic Elements – 24 hour Urine: Those with MTHFR mutations are commonly over-burdened with toxins and infections which deplete nutrients quickly. This test provides insight into which nutrients are specifically low and which heavy metals are being consumed presently. If an individual has elevated urine heavy metal without provocation, then they are experiencing current exposure which must be determined. If a physician ignores present exposures to heavy metals, then they are fighting a raging fire with one bucket of water. I am also of the belief that a physician must address targeted nutrient deficiencies in order to restore cellular function. Learn more about the Nutrient and Toxic Elements test here. Learn more about the Cardio ION Test here. NutrEval FMV by Genova is similar to the ION Profile by Metametrix but the information is presented differently. Learn more about the NutrEval FMV test here. Glutathione: we can deduce if glutathione is low if glycine, cysteine, selenium and glutamine are low. Gastrointestinal Testing: not essential because we can see potential yeast, bacterial, viral or fungal infections in the other lab tests. Plus, I always personally address everyone’s digestive function no matter what as I assume it is not optimized anyhow. Why pay for information that I already know is going to be potentially faulty? Lifestyle and dietary changes can make dramatic improvements in digestive function. Supplements may be needed as well – especially probiotics. If no improvement is seen within a few weeks of altering diet, lifestyle and taking suggested supplements, then GI testing may be needed. Leaky Gut Testing: not essential because I personally address it out of the gate anyhow. Everyone has some extent of leaky gut – especially if they consume gluten. If you eat wheat, stop. It is that simple. Yes – everyone needs to stop eating wheat – period. It is a VERY toxic grain and it is increasing autoimmune disease significantly in our country. Even the FDA is working on getting gluten out of all pharmaceutical medications. That tells you something. Stop eating wheat, will you? Heavy Metal Testing: Many with MTHFR mutations are not ready to dive right into heavy metal chelation. Digestive function, mental function, increased energy and basic lifestyle and dietary changes must be addressed before diving right into something as potentially harmful as heavy metal chelation. Once your body is ready to handle the added stress of chelation, then you move to it. Obviously, if you are grossly burdened with heavy metals, perhaps it is best to remove them immediately; however, for the majority of people I have worked with, it is best to improve liver, kidneys, digestion, adrenals and general nutrition prior to chelating. 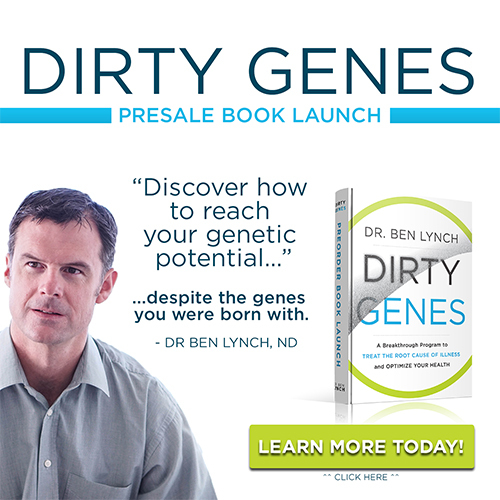 DetoxiGenomics: This is a genetic test which identifies which genes designed for detoxification are not working properly. This is very useful information to know if someone has been detoxing and only feeling worse. I prefer to optimize the individual first through diet, lifestyle and a specific supplement protocol along with sauna therapy, colonics and/or coffee enemas …and epsom salt baths, castor oil packs, dry skin brushing, rebounding. If I am not getting improvement through this methods, then a DetoxiGenomics profile may be necessary. Pyroluria: This is a condition where people have trouble utilizing zinc and vitamin B6 because of a blood metabolite called kryptopyrroles. Kryptopyrroles come from hemoglobin. If anxiety, depression and other symptoms of mental dysfunction are not improving with MTHFR treatment along with lifestyle and dietary changes, then pyroluria must be considered. Additional SNP’s: In working with those with MTHFR mutations, I’ve realized that I am not only dealing with MTHFR mutations. While this is obvious because everyone’s biochemical make-up is unique, it is not obvious because physicians have not been using genetic testing as a guide for treatment very long – and some doctors are not using it at all still. This test really provides a ton of very useful information about other mutations that are nearby the MTHFR gene. If the MTHFR gene is mutated and so is the CBS, MAO A, COMT and MTR genes, then we have a very difficult situation to deal with. What does SNP mean? Single nucleotide polymorphism. This is a genetic mutation where a single base is different from what the wild type (normal) base is supposed to be. I will likely start recommending this test right away as it will save me countless headaches knowing that the individual has X, Y and Z mutations. This information guides my suggestions more effectively. Once I have this test available, I will post it here. Right now, it is in development. Expected arrival: January 30, 2012. Red blood cell methylfolate: an excellent measure to see how much methylfolate you have in your system. Why take 15 mg of methylfolate if you don’t need it? Peroxynitrite: no lab that I’ve found yet tests directly for this. Doctor’s Data has a precursor to this marker. I will research more and provide information as I find it. Peroxynitrite is likely elevated in those with A1298C MTHFR mutations and it is VERY toxic. Digest this over time or simply go for it and get it done. You live once. Your loved ones live once. You deserve to know what is going on internally and identifying the root cause of your symptoms. Please share this information with your physician. Many of these laboratory tests may be covered by your insurance so please try to obtain these tests through your physician first. If that is not possible, you may order them through me. I can provide information about your results but I cannot – and will not – diagnose, treat or prescribe. New Yorkers: It is not possible for me to provide these tests or any laboratory testing to those living in New York. You must work with your local physician in New York in order to obtain testing. This is New York state law. Test results typically are known within 2 to 3 weeks. Questions or comments – please post below. If you know of other testing which was very useful for you, please do comment below. Please do press LIKE, Tweet and +1 as people with MTHFR need to know about these laboratory tests. What do you think about taking the 23andMe genetic test and then using genetic genie to help you interpret the results? I’m surprised not to see the 23andMe test among the additional tests you recommend. I am new. My almost 4yo completely unvax son was dx with Autism and Sensory Processing Disorder at 18mo. He’s also allergic to casein/milk, gluten and food coloring dyes. And Reactive Airway Disease. Lost in the rabbit hole of googling WHY/HOW I stumbled across MTHFR which was like a laundry list up my mother’s and her mother’s side of the family, and had my dr test me. I am positive for hetero C677T. That same blood test showed hsCRP 4.6 and ESR 28. I’m trying to read through all your articles like this one but I’m overwhelmed and confused… and in an utter panic over the inflammation/MI/stroke/Alzheimer’s link. So I don’t know where to start for me? What to take now? While figuring out what other tests I need? And bad news, I’m in NY. I order 23&me for all 3 of us but I haven’t completed it yet because it makes you promise to collect the salvia outside of NY and then mail it, and I haven’t had the chance to make that road trip yet. Hello, Can you recommend a doctor who specializes in Mthfr issues in the Phoenix/Mesa area? I’m looking for a Dr in the Phoenix area as well. Did you find one? I am compound hetero MTHFR and FVL genetically. Other markers suggested as well. My mother died from DVT complications. My maternal grandmother died of what the doctors in 1963 called an inability to process B Vitamins (?!?!?!) My sister – previously testing positive for FVL genetics – is now scheduled for hip replacement surgery. I begged for a hematologist consult and FULL thrombophilia panel for pre-op info so that her surgeon and hematologist would be on the same page if there were any complications. At birth she was in NICU for 6 weeks with “jaundice” and so I had my fears. MTHFR test was run. It was positive. Her insurance provider BCBS of Texas has declined to pay ($350) since the lab request was “investigatory”. I believe that it was a pre-op necessity and should be paid. What do we have to do/provide the insurance provider to cover this lab test?? How can I help her fight this denial of benefits?? your metametrix links are broken, fyi. My husband is heterozygous c677t. He had the Nutraval test done and their recommendations for folate were 1200mcg. Can I assume these dosing suggestions are correct based on his specific findings or are the labs over prescribing folate much like many physicians seem to be doing? His naturopath recommended 2,200mcg folate. Both doses are much higher than the 400mcg you suggest in your basic protocol. Thank you for any insight into lab interpretations you may have. Do you have the “Additional SNP’s” yet? Thanks! I have not yet found a doctor that knows much, if anything about MTHFR. Where do I find an educated doctor of MTHFR? I have blown so much money on dead end medical efforts and I want to get to someone that truly knows what is going on so I can get on the road of healing and hopefully once again living a normal, healthy life!! I wonder if you could update this article now. It is some years since 2011 and from what I hear research is spitting out helpful mthfr results everyday. I’d like to know what you now recommend in light of new research. Thanks so much. I have mthfr and pyroluria and at least two of my four children also have this problem (and autism). I’d appreciate all the help I can get from experts. We live in an isolated part of Australia. Very hard to get good help locally! Wondering if you have any helpful info? My daughter has mthfr and I am in the process of being tested. I was reading about additional testing and the pyroluria really struck me as I already know zinc is an issue for both of us, also the list of symptoms are uncomfortably accurate. I am new to all of this and am hoping to find some praise reports somewhere on this site of people who have reached the other side! 😉 You know, successful in working with and controlling symptoms of MTHFR…. I have mercury amalgams. What is the safest way to remove them and fill the remaining tooth? Refill with safety measures or overlays? I’ve heard people recommend both of these processes. In addition, should I do anything to protect or help my system before or after process? I have mthfr Hetero 1298 and 677. Thanks! Hi Teri – You can search for a biological dentist who is trained to remove amalgams safely while minimizing the risk of ingesting the mercury once liberated from the fillings. In addition, please see this article on minimizing and reducing total body burden, in addition to toxic metals here and . My husband had several mercury amalgam fillings removed while in the service. Around the same time he started having muscle spasms and nerve pain in his lower back. The nerve issues have now progressed to his arms and hands going numb and lacking coordination randomly for no known reason. After getting his genetic results on his MTHFR and learning it is even harder for his body to clear toxins I really think it could be heavy metals. What is the best kind of test to run for this- urine or blood? I think I heard Dr Lynch say he didn’t feel hair testing was accurate. We just want to make sure we spend money on the right test. Thanks! Doctor’s Data has a Urine Toxic Metals test. Many heavy/toxic metals are eliminated through skin via sweat. So, this article, Benefits of Sauna and How to Sauna would be a good starting point. Hope this helps! I tested compound heterozygous for MTHFR. I recently developed anemia from various stressors and from taking folic acid, which caused me to google stuff and find Dr. Lynch’s illuminating work. So I’m recovering by first ceasing all folic acid supplements, and by eating as much organic folate in an overall whole foods diet. I’d like to find more out about how much toxicity I’ve built up and about how much damage has been done to my liver (I was on an outrageous battery of drugs for an unfounded bipolar diagnosis for five years ten years ago). Among other factors a low grade mineral depletion/anemia was mistaken for depression. Which types of professionals does Dr. Lynch recommend to help me interpret the results of the Genova tests? Beth – The Physician Directory is a good place to start searching for a provider who has completed some training with Dr. Lynch. In general, integrative practitioners (NDs, functional medicine MDs, and functional medicine DCs) may have experience with Genova tests. You will have to ask and see. You may be also interested in this article on total body burden and sauna. I have one of the pair of genes (A1298C). I also have fibromyalgia, polyneuropathy. and polymyositis. I am reading about the relationship of Fibro and Poylneuropathy to the MTHFR gene mutation, but so far I see nothing written about Polymyositis being caused by this gene mutation. Do you know of any relationship between the two. Everything I’ve been reading would seem to indicated that there is a connection, due to certain functional problems that might arise out of a dysfunctional methylation process. I also have a fatty liver, which I’m guessing might be caused by the inability of my liver to flush out toxins properly. It’s so complicated that it’s hard to figure out how to approach a healthy way to deal with all these issues. I’m currently taking Brand Direct’s METANX, 1 pill twice a day, but I understand that this one size and one product does not cover all that needs to be addressed plus it seems each individual needs to have a customized treatment for their specific issues related to MTHFR. your two links related to metametrix test: Cardio Individualized Optimum Nutrition Profile are dead. I tested positive for COMT gene mutation at the same time as the MTHFR test. There is a hint about COMT under “additional SNPs,” and that it can really complicate things. I have an experienced nutritional therapist helping me out, but there is no information that I can find on this website to help people navigate the protocol when tested positive for both COMT and MTHFR. Is there any information about how these two genes impact each other? Is there any way to separate which of my symptoms are COMT-related and how much is MTHFR? I want to perform the Histamine test but, is this test influenced by seasonal pollen season ? I’m allergic for gaminaceee and I don’t know when I could do the test ? If during allergic season histamine will be high for every allergic people this mean everybody will be undermethylated ?